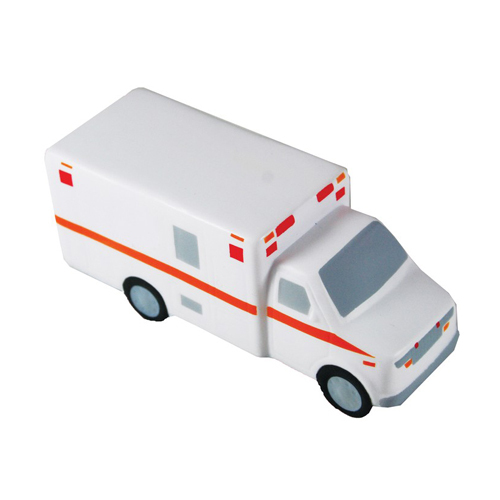 An ambulance shaped stress reliever will take the emergency out of your next tradeshow. This fun squishy ambulance shape stress reliever is an excellent choice for 911 promotions, transportation or emergency themed promotions and for any health care event! Products are not intended for use by children or pets. They may present a choking hazard to children under 3 years of age.